It may be hard to believe, but it's true. You can work from anywhere, in your own time and space, earning decent money online as a Virtual Assistant -- supporting businesses in their daily admin, marketing and research needs. You don't need prior experience. You don't need qualifications. You don't need much at all to get started. All you need is time, a wifi connection and the will and determination to learn new skills and serve your clients. A 6-module course that covers every step in building a successful Virtual Assistant business. From discovering your skills, to setting your rates, to getting clients, to working with clients in a way that will make them love you and help you grow your business. Includes 6+ hours of video learning, plus workbooks, swipe copy and templates to help you get started. Together we will create a strategic plan to help you achieve your goals of working from home, managing your time between work and life, and growing your business so that you can leave your 9 to 5. I've got a proven blueprint that's worked for me and allows me to be the main breadwinner for my family, and I want to help you do the same with regular check-ins to asses your progress, set new goals and hold you accountable to growth. Do you need to get your goals down on (digital) paper? Do you want weekly accountability to achieve them step-by-step? Sign up for my goal-getting emails to gain access to a journal that will help you outline - and achieve - your goals week-by-week. The journal helps you define your big 3-month and 6-month goals and gives you space to break them down into weekly bite-size, smaller goals. You’ll then receive an email every Monday to remind you to fill in your weekly goals tracker. You will be prompted to reflect on the week gone by, to set goals for the current week and to share three things that you’re grateful for. Your weekly Monday email will also include tips, productivity hacks and inspiring affirmations so that you’re always setting goals in the right mindset. At the end of the 3- or 6-month period you will be given the opportunity in your journal to reflect on how you’ve done with your goals and where you are in your business as a result of them. If you’ve struggled to set goals for your business - and struggled even more to stick to them - this email series and journal is for you. Get clarity, stay on track and crush those goals with this effective accountability series. *Please be aware: 1:1 access to Maria and her feedback is not included in the email series. 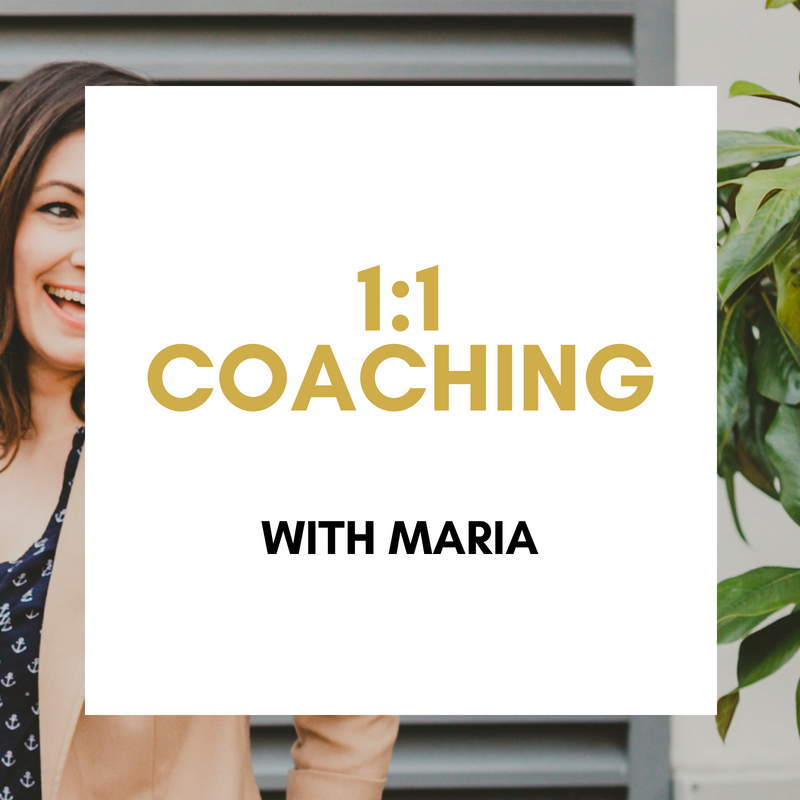 If you’re interested in pairing the email series with a 1:1 one-off coaching session with Maria to help you set strategic goals, check out her 1:1 90-min intensive package here.